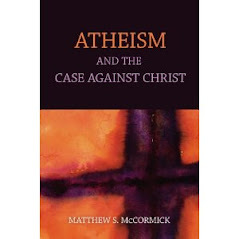 Atheism: Proving The Negative: Nice atheists and mean atheists? Malcolm X and Martin Luther King? Nice atheists and mean atheists? Malcolm X and Martin Luther King? And the SSA will have a video of the talk up shortly. I'll post a link when that becomes available. And he's got a video of an excellent primer on Bayes Probability Reasoning that is very clear, and has minimal math. 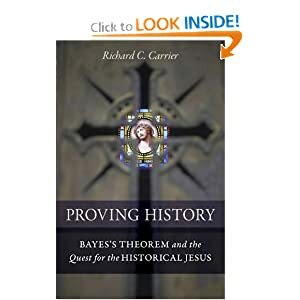 Dr. Carrier’s book on historical methods and Bayes Theorem is excellent. Some theologians have tried to use the theorem to their advantage, but I never see any actual numbers in their equations. Dr. Carrier is working on a follow-up volume “On the Historicity of Jesus Christ”. I have been a complacent atheist since 8 yrs old (Catechism), but lately have been more militant and completely out of the closet. However, I am tolerant of others beliefs and do not consider a belief in God to be insanity. Being an outspoken atheist is not easy. I found that to engaged with a reasonable discourse a Christian, the atheist must be twice as knowledgeable about natural theology, the Bible and matters of religious feelings and Fideism. for the mental case called "tim farley"